Signals: Get free SGN tokens from the trading robot platform!!! Signals is a project that could be of the utmost interest for you! Because it’s related to trading crypto-currencies. And I guess that if you’re visiting CoinAirdrops.com, your building your own crypto-portfolio. Little by little. Thanks for reading, by the way. But let’s get back to business. Surfing the wave of popularity of crypto assets, Signals decided to help you with your crypto trading strategies. And I must admit it sounds pretty cool. Because their platform offers an algorithmic trading system to manage your trading. To make it sound better, I could say that you’ll be able to use Artificial Intelligence (AI) to trade cryptos! Just imagine how awesome this can be: You have access to big data and powerful computational technology. So your bot can cut through the noise of trading signals and process huge data sets. Also, once you set up your configuration, it will keep working 24/7! So you won’t miss any opportunity. Last but not least, even if you’re always on the lookout, you can’t react as fast as a machine. And your trading robot will execute orders infinitely faster than you, leading to substantial profits! For further details on this blockchain startup, read their white paper! Signals token, ticker SGN, is an ethereum blockchain based ERC-20 token. It’s their native crypto. But I can’t tell you much more, because I don’t know what the total supply is. What I know is that SGN tokens are fueling the platform. Indeed, if you want to use their marketplace, you’ll need SGN tokens. So what can you buy exactly? User-created indicators and data streams. Also, you can rent user-made strategies for copy trading. Finally, you can use premium machine learning features in order to assemble and train trading strategies. How to get the free SGN tokens? First of all, you need to visit this page. And click on Bounty, the fifth element of the main menu. On the new page, click on Sign up, in the top right corner, or on Join & Earn SGN Tokens. And on the pop up, fill in a valid email address, a password and a password confirmation. Finally click on the Sign up blue button. Now you need to activate your account, by clicking in the link you received in the confirmation email. You’re now part of the bounty program. And you’ll need to earn your free SGN tokens. How? By completing the tasks displayed on your Dashboard. Most tasks are social media related. And there are a few on other platform as well. For each task you complete, you’ll get free SGN tokens. While the amount is usually mentioned, you might get more, depending on your performance. Also, you can use your referral link to get more Signals tokens. Indeed, you can get a 3% bonus from all purchases of SGN tokens made by your referrals. So share this unique link with as many people as possible! 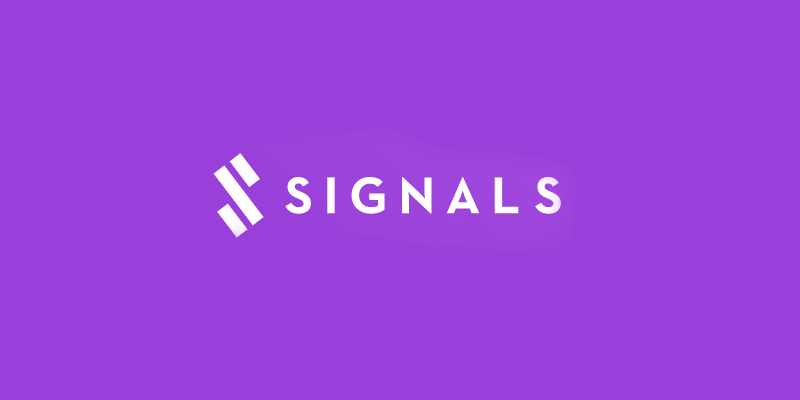 Signals offers crypto traders to create fully customizable trading robots, with no advanced technical knowledge required. And they're giving away free SGN tokens, as part of their bounty program. Earn your tokens today!